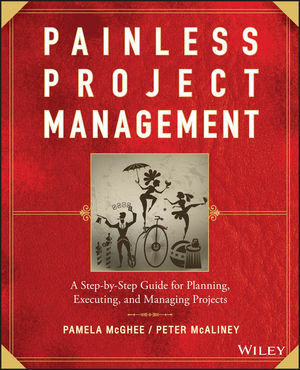 A detailed guide to successful, efficient project management, written by two pros with a combined 55 years "in the trenches!" Project management is a vital and growing component of many organizations and can literally make or break a company. In this step-by-step guide, two project management consultants present a comprehensive guide to effective project management, complete with real stories and case studies from actual project managers. This straightforward guide cuts through the technical jargon to present an easy-to-follow, easy-to-learn approach to executing any project from beginning to end. Project managers, as well as those who want to learn more about project management, will find this guide to be an indispensable resource for all their projects. PAMELA McGHEE, PMP, President and owner of McGhee Enterprises, a project management and IT consulting firm, has consulted with thousands of project managers at Fortune 500 companies. She is a long-standing faculty member at the American Management Association, where she conducts project management and IT seminars. Ms. McGhee is also an adjunct instructor at Baruch College in New York, where she teaches basic and advanced project management. PETER McALINEY, PMP, CMC, is President of Chenery and Company, Inc., which specializes in strategy implementation and project management. He has worked with such corporations as Coca-Cola and GM, as well as with several academic institutions. He is currently developing online project management education programs and assists organizations with cross-cultural communications challenges on virtual team projects. PART I: THE PAINLESS FASTER, SIMPLER METHOD FOR SMALLER PROJECTS AND NEWER PROJECTS MANGERS. Chapter 1: Introduction to Project Management. Chapter 2: The Project Management Life Cycle, the Work Cycle, and the Business Context. Chapter 3: Concept-Building the Business Case. Chapter 4: Planning the Work and Working the Plan. PART II: THE PAINLESS TRIED-AND TRUE METHOD FOR LARGER, MORE COMPLEX PROJECTS AND EXPERIENCED PROJECT MANAGERS. Chapter 5: Developing the Project Charter fro Larger, More Complex Projects. Chapter 6: Much, Much, More on WBSs, Networks, and Gantt Charts. Chapter 7: Status Reporting: What to Tell, When, and to Whom. 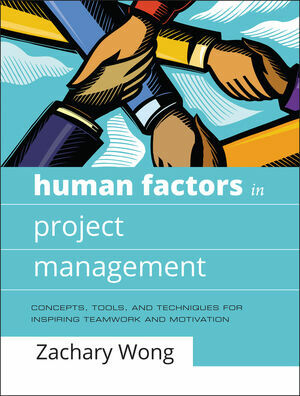 Chapter 8: The Management Part of Project Management. Both authors teach a variety of students each year through their courses at Baruch College, University of Phoenix, and seminar with the AMA. Unlike a lot of PM authors who are only immersed in PM, these authors teach and train this subject everyday. They know what new PM’s need and how to improve PM’s jobs. Takes a “just the facts” approach to making their process simple. Too many project management books are filled with technical jargon, complicated process, and lots of theory. This book delivers a straight-forward cook-book approach to project management delivered in an easy-to-learn, easy-to follow and step-by-step approach to executing any project from beginning to end. Includes tools throughout: The book is filled with tear out tools and downloadable forms that PMs can use for their own projects.